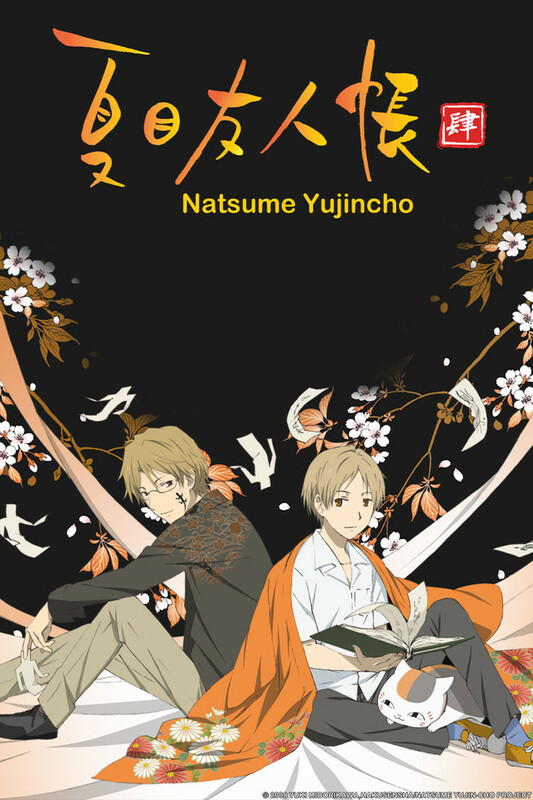 Natsume Yuujinchou was not what I expected it to be, when I first began watching it. I was under the impression that it would be about the everyday adventures of a boy dealing with youkai and ayakashi, and in a very literal sense, I suppose that is what I got indeed. But I was unprepared for the depth of thought and emotion that went into this. On the surface, it is about a boy reluctantly dealing with spirits, but if you dig just a little bit deeper, a very real and personal story about finding your own place in life emerges. For most of his life until now, Natsume has been passed from relative to relative, and while they each initially start out well, when they find out about Natsume's "freakish" abilities (which they label as lying), they come to feel uncomfortable and then ultimately pass him along as they are willing to deal with him. It is only at the start of the Natsume series, when he comes to live with Touko-san and meets Nyanko-sensei, that he begins to learn what it's like to belong and what it feels like to be accepted despite who and what he is. Over the length of the series, we are privileged to see Natsume blossom from a quiet, reluctant boy who resents youkai, to a bright, optimistic young man who accepts his powers and welcomes both youkai and human friends. The journey was somewhat long (spanning 4 seasons) and fraught with many MANY troubles, but the end result, and its message of hope and acceptance, is very well worth it. 10/10. Awesome, in the original sense of the word. My recommendation is that you watch this show immediately, but if you wish to waste time finding out why you should watch it (You should just watch it. Go!) you can read on. Natsume presents some of the most beautifully rendered and lovingly crafted stories I've seen. The idea is that there a world beyond what we normally see, filled with youkai which are seen by only a select few. Youkai live vastly different lives from us, and interact with us very rarely. For those who can see them, Youkai can be seen as friends, tools, enemies, or annoyances. Natsume, the titular character, chooses to respect Youkai and helps them whenever possible, he's also on a mission to return names to some Youkai. These names bind the Youkai in service to him, and were passed down to him from his grandmother. The premise is very well carried out in that every episode I've seen has a strong plotline. There are some which are linked to an over-arcing story, but most are fairly independent. A lot of the episodes also reinforce or add to our understanding of the main characters and their motivations. It would really be wrong, however, to see Natsume as a primarily supernatural anime, it's really more of an examination of emotions and the relations which exist between both people and Youkai. There are really beautiful tales of love and friendship depicted in various episodes, and that's where Natsume Yujin-cho really succeeds. These stories will move you and bring you to tears. Natsume also has some of the most easily likable characters of any anime I've seen, and their interactions and motivations seem very natural. The amount of back story we're given about the main character especially really helps with the understanding of his personality. The animation is beautiful, and both the beginning and ending themes are nice to listen to. So, all of that is just to tell you that you should really watch this, and that this anime really is awesome, in the original sense of that word. This is one anime that will touch your heart and restore your faith in humanity (even if it's humanity in anime characters). It's definitely one of my top 5 favorite animes. Each episode is excellent. Simply the best in its genre. Nastume Yujin-cho shi is the fourth season of the popular anime series of Natsume Yujincho. Natsume, a young highschool boy with the 'gift' of seeing spirits since he was a child. The anime shows the events that unfold since he moved from the city to a country town to live with his distant relatives due to various circumstances, as well as revealing Natsume's past as he goes through his everyday life. However what makes this anime so great, is possibly simply the atmosphere of the anime itself. The anime is written superbly, the writers are able to create an anime which gives a relaxing feel while watching; as well as being entertaining. The anime does not have a linear plot or goal of any sort, which is rare for its genre of drama. Although it lacks any obvious story-line, it is obvious that after watching this anime, the writers goal was simply to take viewers on a journey through a kind hearted boys life; as he discovers more and more about himself as well has his ability to see spirits which he as always felt burdened by, he discovers that not all spirits are cruel, but some are loving, even more so than those who are living around him. This anime deserves much more praise than i am giving it, being able to reach the heart of the viewers with each and every episode. Therefore it would be more than fair to say this anime deserves nothing less than 5 stars. There's not much I can add to the wonderful, plentiful reviews already here... but Natsume Yuujin-chou Shi added finer resolution, cleaner animation and the long-awaited background story behind Takashi's early life and the treatment he'd suffered in response to his gift. "-Shi" also gave me the impression that it was a bit more substantial in tone than the past 3 seasons, a bit more serious. Less comedy with Nyanko-sensei, which was one of my only negatives (and it's not really a negative if it's just my opinion) with them. But my favorite part of the series, the focus on the characters... was untouched and the pacing kept at its ideal rhythm, fantastic. My kids and I LOVE this series. I mean all my 3 kids. My first grader loves is so much and this has been a motivation factor for her to improve her reading (she has to read the subtitles in order to understand the stories). More episodes please! Natsume has been my dear friend for a few years now. This series is more about personal growth and overcoming your own demons, rather than just a supernatural slice of life. Alot can be learned from this series. If your ready for the emotional journey- to really be immersed in a story-please watch this. You will cry, your heart will ache, but I promise you every episode will leave your mind wandering and your heart open. You will be rooting for a stranger you don't know and by the time it's over, you'll just be so happy he's found good people to surround him. Maybe you'll even strive for the same. Either way, this anime will change something about you in some way. Big or small, please give it a try. I promise you will not regret it.